Push one button to get automated, high-quality reality capture and distribution. 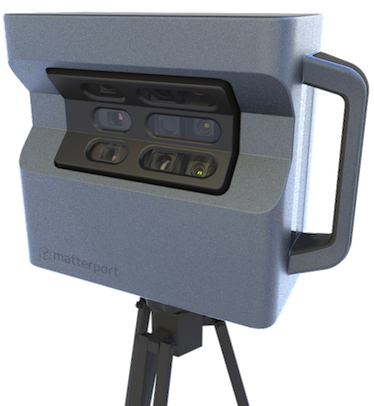 Scan any place with the push-button simple Matterport Pro2 3D Camera. Scanning is lightning-fast, incredibly easy, and fully automated. Upload your scans to the cloud, where powerful algorithms process your data. In a few hours your Matterport Space is ready to be accessed from anywhere. It's easy to distribute your beautiful, fully immersive Matterport Space. Embed it like a video or provide a link. No downloads or plug-ins necessary! You'll need a 3D camera to capture the property, and we've got three great options to choose from. Whichever hardware you use, it is exactly the same capture experience and distribution platform. We’ve focused on automation and ease of use so everyone can produce reliable results without specialized training. Our Pro2 3D Camera has one button — ON. With the Matterport Capture app for iPad, the camera is push-button simple and easy for anyone to operate. The Pro2 Lite has the same quality output, but comes at a lower initial investment that's good for your small business. 4 hours of battery can easily scan 2000 ft² (185 m²). 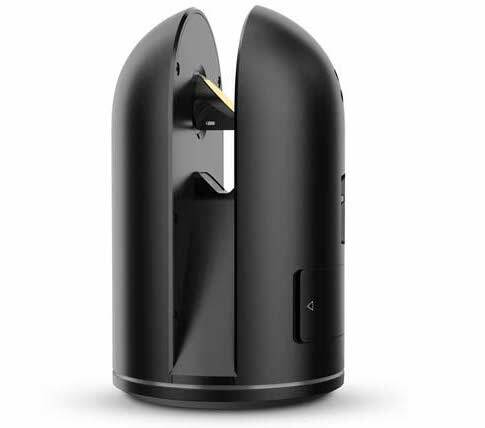 Demanding users can scan with a Leica BLK360 to capture at high density and import into the Matterport platform. Scan exteriors and at a range of 30 ft (10 m). Use Matterport and Leica together on the same model to get the best of both worlds. All the Matterport Spaces you capture are processed, organized, and hosted in Matterport Cloud (my.matterport.com) for easy access wherever you are. Our tools are built to work with you. Our advanced vision algorithms and powerful cloud computing work for you, delivering amazing results at amazing speeds. Our cloud servers quickly process your scan data and put finished Matterport Spaces directly in your account. Panoramas are automatically optimized for contrast and color balance by our algorithms in the cloud. No photo editing skills required. We’ve considered and optimized everything so you can rely on a great Matterport Space every time. We'll store your Matterport Spaces. You publish them anywhere. 3D scanning software has never been easier. Keep your Spaces private or make them publicly available to everyone. Open Workshop to customize your spaces with highlight reels, contact details, measurements, room labels, Mattertag™ Posts, and more. Share with coworkers and customers to get feedback every step of the way. With just one photo shoot, you get all the assets that you need. No need to schedule another service provider or make a return visit. Get the still photos you definitely need — and at high enough quality for your print marketing. Professional black-and-white floor plans, quickly and easily generated from almost any Matterport Space. Learn more. Get the assets you need (like a point cloud) to jump-start your next design project. Plus Matterport is easy enough to use on all of your projects. Learn more. Matterport Spaces take you to the real world and beyond. Our immersive web player — 3D Showcase — is easy for anyone to use. Advanced users can export the 3D data to other applications for even more possibilities. 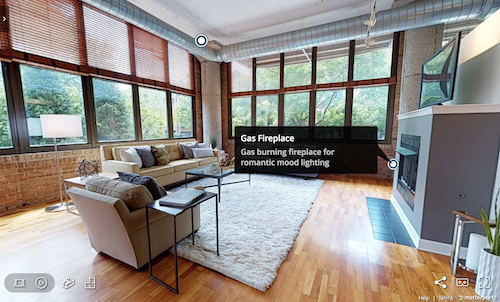 Embed Matterport in your website just like a YouTube video — it really is that easy! Get the print-ready, 2D still photography you need for your listing plus the 3D walkthrough, all in one photo shoot! Truly immersive experience that's even more amazing when you enter virtual reality. 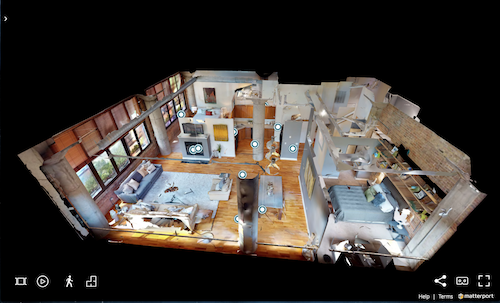 Three immersive view modes provide a total understanding of a property that you won't see with videos or other 360º tours. Curated guided tours offer a lean-back experience for visitors who want a one-click tour experience. Share an MLS-friendly version on the MLS and the full version on your website. Streamline documentation, 3D scan as-builts, and collaborate with ease. With Matterport, creating 3D models takes little time at all. Matterport Spaces are the highest quality virtual tours that you can get to showcase your business. 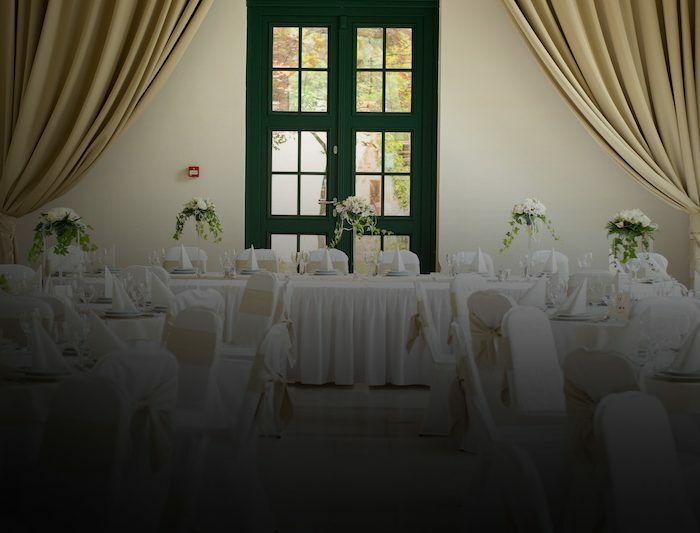 With an online virtual tour, you can share your unique venue to the entire world and attract visitors from far and wide. Use Dollhouse View to see the whole property all at once. Switch to Inside View for an interactive walkthrough experience. Pop into Virtual Reality to be truly immersed — like you're actually there. Our brains are hard-wired to think visually, to look around at all angles, and to constantly calculate distances and depths. Videos are flat 2D and not interactive. Tours with just 360º photos don’t offer that unique Matterport Dollhouse View. Plus Matterport makes it easy to capture large properties with automatic alignment. With a 360º photos alone, you have to connect them manually — a very tedious task if your space is large. Only Matterport offers the easiest to create and most immersive experience, that is the closest you can get to actually being there. A 3D room scanner once required trained technicians and complicated software. Matterport has made it super easy to scan with our simple 3D camera and iPad app. Virtual reality (VR) is an even more immersive way to experience your Matterport Spaces. 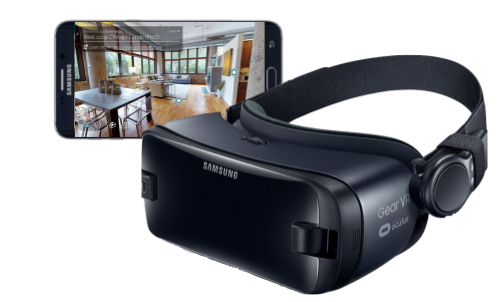 Headsets like the Samsung Gear VR, Google Cardboard, and Google Daydream have made VR available to anyone. Matterport is one of the first companies to create an large, extensive, and engaging library of VR content. Real estate agents, retailers, and media outlets are already realizing the potential that VR has to engage their audiences and drive sales. Content creators love Matterport as an easy way to get a great 3D model that they can jump-off of for more development.